People often ask me: “What do you sell on Amazon?” I like to grin and say “Anything that is profitable!” But I know that isn't what they are asking exactly. They want to know what types of products will fly off the virtual shelves. And for new sellers, they're typically wondering how they can navigate products that are locked down in one of the Amazon gated categories. Amazon has quite a few restricted categories, but it's nothing that would stop any new or experienced FBA seller from filling their shopping carts with ungated goods! In this post, we are going to talk about the types of things you can sell on Amazon based on their categories (this is totally different from brands that are restricted on Amazon). Some categories are gated to new sellers and some categories are open from the start. If you want to sell in any of the restricted categories, you will need to get category approval from Amazon. 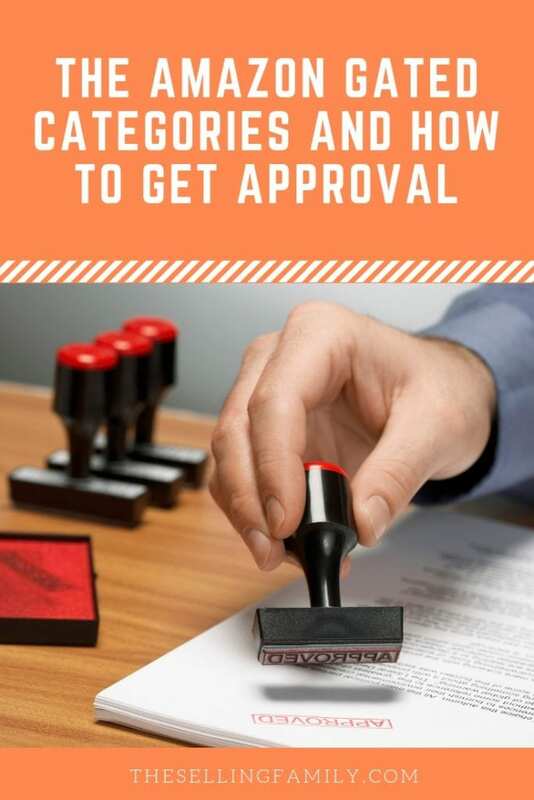 The process for approval can be different based on which category it is and we will cover some of the different methods further along in this post. Going through the approval process can really expand your inventory opportunities as an Amazon seller. It can also reduce competition since there are usually fewer sellers in the gated categories on Amazon. We hear from a lot of new sellers that sourcing is a challenge when you first get started selling FBA because you run into a lot of restricted categories and brands. We understand that when you're new it can feel hard to find inventory. A lot of sellers try to get ungated in as many areas as possible to speed up the process. We totally get it and we’re here to help! One thing though, we honestly feel like there are lots of things to sell that are NOT restricted. We recommend waiting until you've got some experience under your belt before you spend a lot of time (and sometimes even money) to get ungated in categories…unless you have specific products you already want to sell. Alright, let's take a look at Amazon's gated categories plus the steps you can take to request Amazon category approval. So before we get into the process of getting ungated on Amazon, let's review the good news: there are tons of categories that are automatically open to everyone, including new sellers! In fact, as of this 2019 update, there are fewer restricted categories than I've seen in many years! This post was updated on February 27, 2019. For those of you curious “what we sell” in these open categories, here are our favorite categories: Baby, Beauty, Health & Personal Care, Home & Garden, Grocery, and Toys. We pretty much personally steer clear of the other ones listed. So, just because a category is “open” doesn't mean that you HAVE to sell in it! Some of the types of things we sell in the categories I just listed are: Baby blankets, Baby Toys, Shampoo & Conditioner, Make-up, Toiletries, Deodorant, Gift Sets, Bedding, Candles, Decorations, Candy, Teas, Board Games, Legos, Blocks and much much more. You see, there are so many categories that are wide open, that's why I don't feel like it's necessary to get approved in Amazon's restricted categories right away. For a while, these 3 categories (Grocery, Health & Personal Care, and Beauty) were completely gated to new sellers on Amazon (established sellers were grandfathered in). The good news is, these categories are no longer gated on Amazon, so you don’t need special permission to sell in them. However, you may still need approval to sell in subcategories like topicals or over-the-counter medication. Your account might one day become eligible for automatic approval in these categories (more on that later). But sometimes you'll need to receive approval direct from the brand (which might set you back a few bucks). This process can get expensive so we don't recommend this route for new sellers. Unfortunately, the process for ungating in some of these subcategories is not spelled out by Amazon. We have to learn as we go and see what Amazon asks for. Sometimes they just need invoices and other times they need documentation from the FDA. We are always keeping our eyes open for a distributor or wholesaler who can help our students with subcategory approval requirements. If we find one that is easy to work with, we will let you all know. Note that many brands or individual ASINs within these three categories ARE still restricted, so you may run into that. Just don’t get confused by a brand name restriction and think the whole category is off-limits. WIthin any category, restricted or ungated, you will still find individual product and brand restrictions. Grocery seems to have the fewest restrictions of these three categories. We love the Grocery category because we can often find discontinued products with huge followings. So I am super excited that it is no longer restricted for new sellers! But even though it's not restricted, there are a few special things to consider with Grocery. Make sure you know all of the rules for perishable inventory (that's inventory that expires, like food). Here's everything you need to know about selling products with expiration dates on Amazon. Just like the 3 categories above, there is a lot of misinformation about the Toys & Games category. Amazon made matters even more confusing in late 2018 by introducing a Toys Subcategory (within the larger Toys & Games Category). Let's try to make some sense of Amazon's messy toy box! The only time of year that Toys & Games becomes a fully gated category is during the 4th quarter. And during Q4, they are ONLY restricted if you want to Merchant Fulfill them and even then, it's only if you don't meet the Holiday Selling Guidelines in Toys & Games. If you are selling using the FBA program, then you are good to go whether you are a new or established seller. Amazon tends to make slight changes to the Holiday Selling Guidelines each year. I keep this blog post updated to reflect the current rules so give it a read if you're confused. Amazon will also send you an email in August and/or September with the guidelines. Generally speaking, Amazon is looking for sellers who have demonstrated past success with Merchant Fulfilling. They don't want a newbie or bad seller ruining someone's Christmas with late MF shipments! But let me remind you one more time: if you are sending in toys for FBA, they are NOT affected by the Holiday Toy Restrictions. Phew! Once upon a time (ok, like a year ago), Amazon had many different subcategories within Toys & Games. These were things like Infant Toys, Learning Toys, or Toy Building Blocks. At some point during 2018, Amazon consolidated all of these (and some other products) into a larger Subcategory just called “Toys”. Now I wouldn't normally care about something nitpicky like this, but it also came with a new round of subcategory gating. Suddenly sellers found that they were Restricted to sell Toys….even though Toys & Games is an ungated Category! This was getting too confusing so I wanted to get to the bottom of it. Amazon has been pretty picky about the CPC so I wanted a way to simplify the process. I understand that Toys is a subcategory that most sellers are interested in ungating…especially before the holidays! I teamed up with a resourceful Boot Camp student who successfully navigated ungating her account in the Toys subcategory. This also landed her a bunch of Brand approvals (nice bonus!). 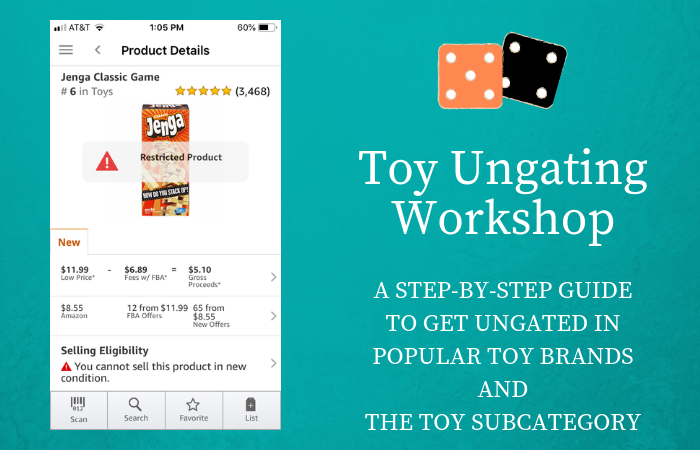 If you're restricted from selling Toys, be sure to check out our Toy Ungating Workshop. You can read all of the information right here or click the image below. We do have a few prerequisites before joining, so definitely read all of the details. Ok, now that we have covered the categories that are open to all sellers on Amazon…And cleared up some confusion about categories that are sometimes (or were) gated, let's get to what are actually restricted categories on Amazon. * Amazon has long banned selling toys in Used condition but would allow sellers to list them in Collectible condition. This is considered a “loophole” because that is where buyers and sellers go for “used” toys. Since I shared what types of things we sell from the open categories, I thought I better share what we like to sell from the gated categories. That's right. We're not currently selling anything in any of the restricted categories. Now the big exceptions here are some of the subcategories like Toys and Topicals. We do sell those. But now that Grocery and other big categories are ungated for new sellers, we don't generally worry too much about category restrictions. Why Are Some Categories Gated On Amazon? It helps to understand the reason Amazon has restricted categories in the first place. Usually it's because there are a lot of products in that category that are counterfeited, and Amazon wants to reduce its risk. Think about pirated DVDs, fake jewelry, or knockoff watches. They're all over the place. This is very common at flea-markets and even on eBay. Amazon wants to make sure you're a legitimate, honest seller before granting you permission to sell in these somewhat risky categories. It doesn't want to be known as a platform that's easy for counterfeiters to use. When you're looking at restrictions, they include three major areas: categories, brands, and condition. Restricted categories are just what they sound like: an entire category, like Jewelry, that Amazon guards carefully. You'd apply to Amazon directly to get approval to sell. Then within any category, gated or not, you'll find some product restrictions and brand restrictions. This is when a brand like Disney or Black & Decker (or even much smaller companies) will go through a process with Amazon to have its brand protected. This means that as a seller, you'd need permission direct from that brand to sell on Amazon; you'd work with the brand to obtain that permission, then supply proof to Amazon. And finally, there are condition guidelines. This is like the Toys category, which doesn't allow you to sell toys as Used. It's always a good idea to familiarize yourself with Amazon's Condition Guidelines. Amazon category approval requests aren't always complicated. Your success with Automatic Approvals may vary based on the age of your account or seller metrics. But it's so easy and fast that you might as well try! 2. Run a search for the item you wish to sell. Or ANY product that you know is listed in that category. 3. In the search results, click the Listing Limitations Apply link across from the restricted item. To check the status of an application, return to the Add a Product tool and click the To manage your selling applications, click here link located below the search box. Depending on the category you are requesting approval in, the process that happens after clicking request approval could be slightly different. Try to work through all of the steps and provide the exact materials requested by Amazon. If not, you can try again later or follow Amazon's instructions for getting approved with invoices. If you're trying to use a supplier to apply for category approval, it's important to purchase products that are ALREADY listed on Amazon! They need to be listed in the category that you want to get approval in. 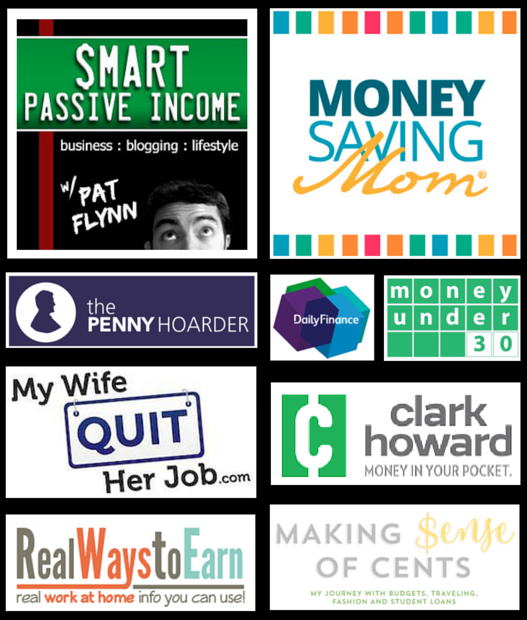 I suggest looking up the specific products up through Seller Central > Add A Product to find out what category they are in. When you are looking for products to purchase, it's not important to make sure you will make a profit on the items. Most likely you won't make a profit on the items (or maybe won't even send them in to Amazon). Just make sure to purchase the required quantity and have a qualifying invoice! When you apply for the selected category, you will need to have the official invoice that comes inside the box — not just a printed copy of what gets emailed to you after the purchase. You can use your phone to take a picture of the invoice, then submit that image to Amazon. In some circumstances, you can get your sales rep to give you a PDF of the invoice before your order arrives. The company we recommend in the Toy Ungating Workshop usually does this for us which greatly speeds up the approval process. The truth of the matter is Amazon changes restrictions more often than they should! It keeps us on our toes for sure. One day we think a category is gated and then the next it isn't. We try to keep this post updated, but that's still not your most accurate source. So, how could you possibly know what you can/can't sell?!? The absolute best way to know for sure is to scan the product with The Amazon Seller App. This will check to see if YOU are eligible to sell the product or not. If you are on your computer, go to add a product and see if there are any restrictions that pop up for the specific item. If you scan in stores with Scoutify 2, you can even use that to check for restrictions (and request approval) on-the-go! Here's what's important: know if you're restricted before you buy a product. You never want to be sending in inventory to Amazon that you can't sell. It will just end up in Stranded Inventory and you'll have to pay to have it sent back. Can I get approval if I am a brand new seller? I've seen brand new sellers get approved as well as get denied. I recommend having some experience under your belt to show Amazon that you are established in your business. I am private labeling from China, can't I use my invoices? Unfortunately, Amazon rarely accepts invoices from China to grant approval into these categories. You are better off going about it as we have instructed above. Can I sell the products I purchase for approval? Of course! I wouldn't expect to make all of your money back, but I would get as much as you can for them! Can I only sell products from the wholesaler I used in the invoices? No, Amazon is not checking your invoices once you have gotten approval. At that point, you can purchase from any legitimate supplier. Will receipts work from places like Target? Nope, retail receipts will NOT work for category approval! It needs to be an Invoice, not a Receipt. There's a difference. Some sellers are asked for a business license during the application process and some are not. Will I get approved for sure? I wish there was a guarantee! But even some people who have followed the instructions provided still don't get approval right away. Sometimes it takes submitting your application multiple times in order to get approval. Can I just pay someone to get me approved? I would highly advise AGAINST doing this! If Amazon is requesting invoices, you need to actually be purchasing products. Unless the person you are paying is placing actual orders for you, then you are most likely getting forged documents, and I wouldn't submit forged documents to Amazon in my account! I've even heard of sellers getting suspended for using forged documents, so just don't do it! That's Everything You Need to Know About Amazon's Restricted Categories + Amazon Ungating! Whew, that was a doozy to write. So, even though there may be *a lot* of restrictions when it comes to selling on Amazon, there actually is a lot that you can sell without worry about restrictions. You see, many of the “restricted categories” are not really even ones that appeal to many Amazon sellers. With the exception of some subcategories like Toys (which we can help with in our Toy Ungating Workshop), it's just not a big deal! Once you've got your categories under wraps, you may want to check out our post on restricted brands on Amazon. This is the other place where you will find Amazon restricting your product selections. How have restrictions affected you in your Amazon business? Let us know in the comments below. Do you guys have a ungating service, like for WATCHES category? I was hoping it was possible to just pay a fee for someone to just unrestrict a category for me to sell in. I don’t assume you guys still have the category approval assistance service available? Sorry, we do not offer approval assistance at this time. Do you have a more updated guide available? I believe a lot has changed in the last year (it’s now Feb 2019). I can’t get approved in anything beauty (because it all seems to be “topical”) without FDA documentation, etc. And most toys are off limits, too, without proving that the item has been tested for safety and other hazards. Is there any hope for these categories now? Hi Erika, I do have a workshop specifically for getting approved in toys (it is paid) and shows you how to get ungated in a lot of the big brands as well. Toy Ungating Workshop. We are working on getting more information for the topical category, but need to find a good wholesaler that is easy to work with. Is there a certain type/kind of makeup, deodorant or shampoo and conditioner I’m able to sale? Or pretty much any name brand is ok? the only way to know for sure is to scan the items and see if they show restricted or not. About to launch my store and i have about $500 in used books and about the same in DVD/BLURAY/CD ROM/CD’s… What can i do to get ungated in cd/dvd as thats a huge chunk of space being used. Sorry, we do not have any tips for that category. If you haven’t hit any red flags it should be ok. Yes. We would like to be able to sell CDS’s on Amazon. We were able to sell CD’s two years ago and they restricted us. Im trying to get into the clothing catagory as i purchase wholesale thru retail store liquidation, everything matches up on the invoices i sent in but im being denied everytime, any pointers out there for me? Amazon may not accept the liquidator that you are using. I am dealing with the same issue, is there any type of guide or literature on what wholesalers/vendors are accepted by amazon and which are not? Thank you for the awesome article, very helpful. I recently was approved in beauty category, unfortunately the products(beauty tools) I was going to sell isn’t working out, because I received the samples and it isn’t good enough, luckily I didn’t make a the purchases yet. So if I delete those approved listings, will it effect my seller’s account? I have a plan to sell body scrubs in the future, does it fall under sub category? If so do I have to re apply to get approved in that sub category? You can remove those products from your inventory and it won’t affect your eligibility in the category. I’m not sure about the scrubs. You can test it by trying to list some other scrubs and see if you can get into the listing. Thank you. This post is quite helpful! I am researching and preparing ro try out FBA. For future reference, if I wanted to sell say maybelline masacara, i would need to order that mascara from maybelline manufacturer? Then have the appropriate invoice for it? So, I cannot just buy dozens from the drug store and resell? It may seem like a silly question but other quides and forums say opposite things when it comes to FBA. If you purchase from a store to resale that is called “Retail Arbitrage”. If you buy directly then that is a wholesale business model. You can see the differences here. 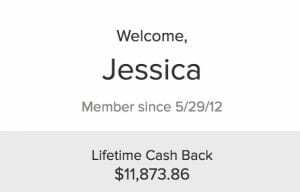 I recently started selling on Amazon. I am most interested in getting ungated in topicals. I am a licensed cosmetologist and owned a salon/spa for over 10 years – so this is the industry I know and have wholesale accounts. Even with all these years in the business I have no idea how to get a COA or FDA info they are requesting for approval. I only have ever requested MSDS sheets from suppliers to know ingredients to avoid allergic reactions with clients. Any help would be greatly appreciated. Have you tried ordering from a wholesaler? Not yet. I just found your site and was thinking about trying what you suggested, a la the hot sauce. Do I need any documents like a biz license to place the order? This is all new to me! I figured this email from Amazon may help answer questions from other visitors. I’m located in Canada and planning to sell in US Toy Building Blocks category and wonder if an invoice from Staples Canada would work. If “no”, Could you please suggest any store I could buy items to get an invoice? the invoice would need to come from a manufacturer not a retail store like Staples. I’m new & going to jump into Amazon FBA. For what i read from this post, pet supplies are not gated, but what about the pet supplies sub category like pet food & supplement? Do I still need to get approval? Great information! Thanks! If toothbrushes we put our own logo on handle and also our own brand print on the pack. Do we need specific approval? You may need subcategory approval, but you will have to try and list another toothbrush to find out if you get na error message. I sell watches with my own graphic designs. These are not brand name watches. A company in China makes them with my graphics & ships direct for me. Amazon has rejected my request even with their invoice. is it possible to apply under a different category like “toys” and try to sell them that way….avoiding the whole strict approval process? I would not recommend trying to use a different category to get around being gated 🙁 Another option would be to purchase from a US distributor and use those invoices. Sorry I don’t have a better recommendation. I would say set up a corporate entity to purchase the watches from China and then have that entity sell them to you and create an invoice for you. It’s an extra hoop to have to jump through but it should do the trick. I looked at the Hot Shots Hot Sauce website, but only found their “Contact Us” link on their homepage. I know you said many people have been approved in grocery using this company, but you also stated that FULL contact info must be on the first page, or Amazon won’t go further for the required information. So, does that mean they will click on the contact link for the contact details, even though they aren’t on the first page? Thanks! I’m not sure how they went about approving them specifically, but they are approving it. You know Amazon, we never know exactly what they are thinking. Hello, I was just reading this post and need to ask you a couple questions. So I am in the middle of purchasing an item in the oral care sector. Does that fall underneath the approval section? And it is from Alibaba, will that be an issue? I’ve not seen people get approved with Alibaba receipts. Hi The Selling Family, When you mention “you’ve not seen people get approved with Alibaba receipts.” Do you actually mean, Alibaba website automated payment processor invoices through the alibaba website OR do you mean; Approval is very unlikely if using receipts or (any kind of invoice) provided by any Chinese supplier who lists on the internet and or also lists products on Alibaba? Is China not a recommended country for sourcing concidering that approx. 75% of all retail products excluding Grocery in general, are manufactured in China. I mean I don’t see people get approved using invoices for products purchased on Alibaba. If you are sourcing from China, then you are most likely doing Private Label, which is a different ball game than what I typically teach here. In that case, I’m not sure what sellers do for approval in categories when all items are self-branded. I want to sell a well-known brand of vitamins it is saying I need approval in the baby topical and dietary supplements categories. 1. Do i submit a separate invoice for the two categories or can it be the same invoice? 2. What manufacturer can I order the dietary supplements and topical from? I think that one invoice would suffice if the product is listed in both categories. I don’t have a supplier recommendation though…sorry. Thanks so much for this post! I just got approved for FBA but now Im feeling disappointed with all the restrictions on Amazon. Ive been a long time seller on Ebay. But Amazon is a different world! Wow. I dont want to get kicked off so Im researching and trying to learn the process. I am a Chef and produce all of my own products I will soon sell on FBA. I am already set up. You would need to get ungated to sell in the grocery category. I am planning to import grocery items from South America. Will their invoices be accepted by Amazon? I’m sorry, I can not confirm this for sure. Hi, do you know about Children’s Product Certificate for radio control toy category, we submitted the CPC from CPSC accepted laboratory, but we keep being rejected by Amazon, Amazon will only tell us to submit a new CPC. Do you know the requirement of CPC for radio control toy， do you know which safety regulation we need to test? For those who gets approval for Beauty category from Amazon, where are you guys find any of these following? Hey great content! Im really impressed!! Are toothbrushes a product that need approval? Hi Marcelo, most toothbrushes would fall into the health and personal care category which no longer need approval. Hope that helps! Hey There, Since this article seems a bit old I have to ask. Is Price Master still a viable supplier? I just got their approval message it says: Online Resellers: Please be advised we cannot do the following. split orders in to multiple invoices email copies of invoices prior to shipping revise invoices to meet Amazon or other online sellers’ specifications provide item barcodes in any digital format Supply certification documents for products. It sounds like they are not authorized to supply certs for products. What if Amazon requests certs? We still get reports that Price Master is working for approval. But, they are getting a lot of requests and had to tighten up on what they would provide. Question about the requirements for the fda certificates etc for topicals. Are these provided by the wholesaler? And where does it list the deposit required after approval? Thank you for all of your helpful information. I followed exactly and got approved in grocery. I am hoping that things going to go as well in topicals. Is it a new thing that amazon is only asking for one invoice now or has it always been like that and we really need to be submitting three? Also, any knowledge of Bargain Wholesale invoices being accepted? Amazon is asking for one invoice “showing a combined purchase of at least 10 units.” Just to be clear, if I purchase a case of 10 of something, and the item on Amazon is only 1 individual item, does that qualify as 10 items in the order or do I need to order 10 cases? It should show you the category on the scan, and those items very well could be in health 🙁 The restrictions will be the same for individual vs pro accounts. Thanks for all the info in your post! I am planning to sell my Tea blends on amazon. I source my ingridients from Canada and US, however I mix it and package at home. Will I be approved to sell on amazon under grocery section, given the end mixing and packaging is done by me and not the wholesaler? Or they want everything to be done at the wholesaler end? Secondly, can I try to sell Tea under health and self care category as that is not restricted this year. Just not sure of the process. Thanks!! I just got approved for Price Master, but don’t know what items to buy that will get me approved to sell topicals on Amazon. Can you please help me? What do I do for the COA/GMP/FDA Orange book? Thanks! So is it your understanding then that after being approved in Grocery, using the method above of (US wholesaler with receipts) you can sell grocery products with your international manufacturer like China on amazon? Sounds like they just want an approved US wholesaler / distributor to get ungated but after that you can use whoever you want. My question is, what if I am a manufacturer. I sell finished hair care products. How would the invoice work. I don’t buy finished products. I do buy ingredients in bulk, which I can show proof of. Would this be sufficient? Yes, you should be able to show the invoices of the products that you have. Or try for brand registry as another option. How does one go about getting approval in cell phone accessories category. Just for chargers and phone cases..? Sorry Gwen I haven’t gone through that one yet. If you click on the link in your seller account to request approval, it will give you a list of required steps. I have not heard of this happening to anyone. Yes, you need to have an account in good standing. You could try doing a brand registry. If invoices are required, then one’s from China usually do not work. For the clothing category though, you do not need to have invoices. Just fill out the application. Glad to hear it! Best of luck. the information needs to match what you have on your Amazon account. Glad you got approval easily. You’re welcome! Glad to hear you got approved. Glad you finally got approved! I’ve seen brand new accounts get approved. Once you are successfully ungated, will amazon accept retail receipts as proof of authenticity if they ever review your account?? If they are reviewing your account, they may. But it is not a guarantee. I have been trying to get ungated in the grocery category but have been rejected a number of times. The latest rejection states’ we were unable to verify your supplied invoice and it did not pass all internal audits’. What does this mean? The only thing that I can see wrong with this invoice is that it does not show the suppliers’ website or email address. Or it could be the fact that the suppliers’ business name is different to the website name. I’m at my wits end with this! Thanks in advance! If Amazon can’t easily verify the wholesalers information, they will not go looking for it. So, the business name and website name not matching, could be an issue. Is it true that Amazon don’t accept Chinese invoice?I’ve been denied 8 times! If it’s true how do you export your goods from China for Amazon? This is true, they do not usually accept chinese invoices for ungating.